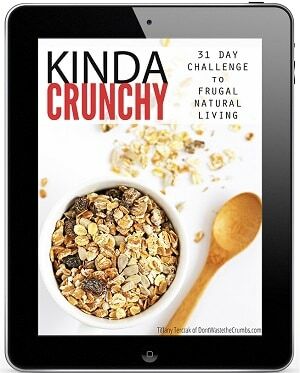 You are here: Don't Waste The Crumbs » Shopping & Sourcing » Which is Cheaper: Walmart or ALDI? As a frugal shopper, I’m always wondering what store will get the best deal. 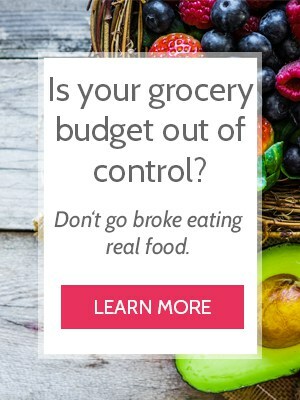 It’s one of the primary principles I teach in my course Grocery Budget Bootcamp, and it’s why I wrote a whole post comparing Costco to ALDI. Well, since not everyone has an ALDI nearby, I thought it would be prudent to compare prices again. This time though, to a more national chain and not a warehouse store that requires a membership. What I wanted to know was, which is cheaper: Walmart vs. ALDI? Psst! 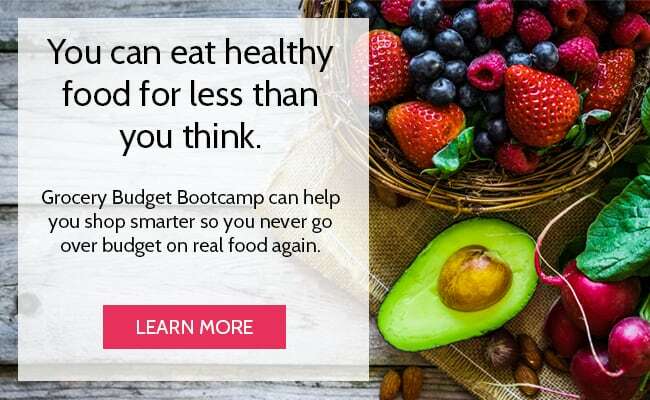 Before I jump into this post, I wanted to mention that Grocery Budget Bootcamp is only open through TOMORROW, Tuesday, September 19, 2017. Knowing where to shop is just one of the 13 lessons in the course, so whether you struggle with shopping, meal planning or how to put it all together – I’ve got you covered. Besides, the average graduate saves $250-300 on the first month alone!! 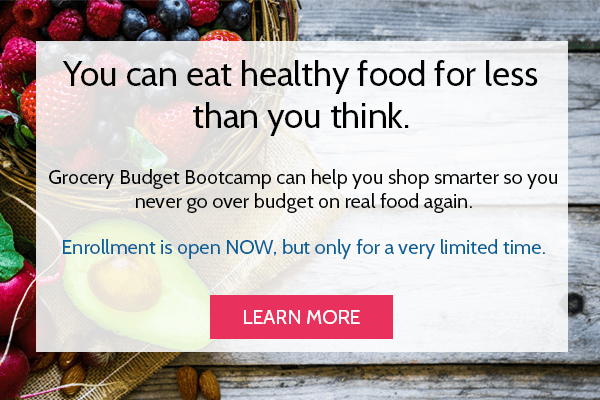 See if Grocery Budget Bootcamp is right for you! I could write a whole blog post on the pros and cons of shopping at ALDI vs. Walmart… but I’m not going to do that here. However, I was working on this list, I couldn’t help but notice definite pros and cons while in the store that were definitely worth sharing, especially since we’re breaking down prices and such. You have a limited selection. If you get overwhelmed with choices at the grocery store, ALDI makes it easy because there are no choices. For most of their items, they only offer one variety in one size. The selection of organics is expanding. I had organic almond milk and peanuts on my list for comparison, but Walmart didn’t have either. Here is an Ultimate Guide for Shopping at ALDI! You have a greater selection. In both sizes, and brands. 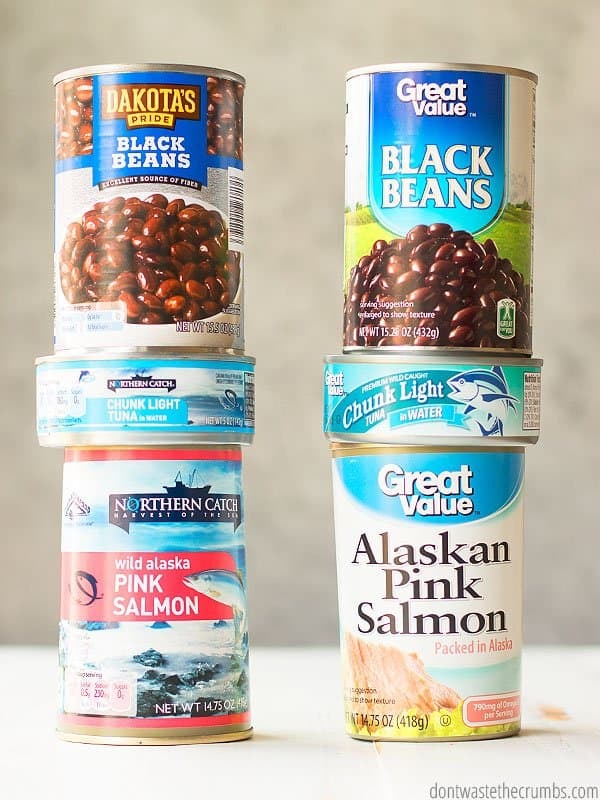 For most items listed below, you can easily bump up to a larger container and save a few pennies per ounce at the same time. There’s a greater selection. I say this, because even though I was ONLY comparing price this day, it was still sometimes overwhelming in looking at all the different options to find the best deal. Different sizes and different brands didn’t necessarily make for a better shopping experience; they made it harder to crunch numbers. 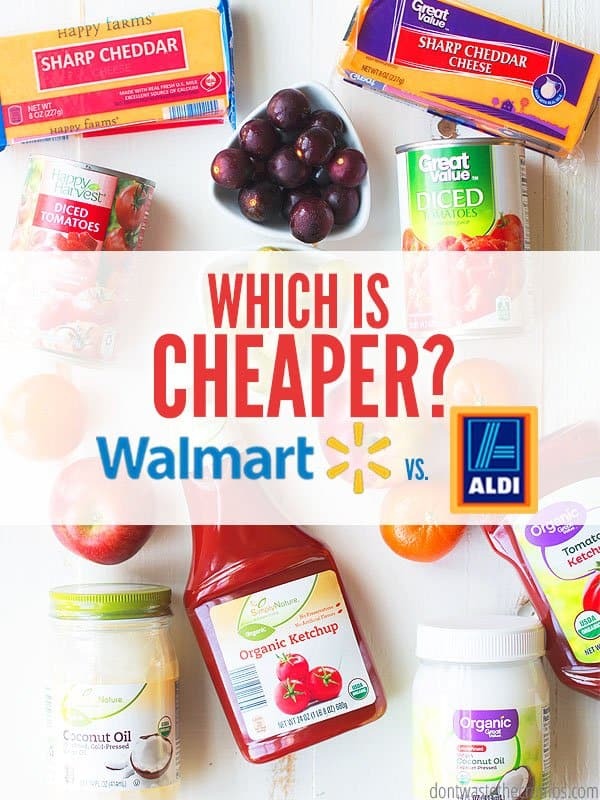 Which is Cheaper Walmart or ALDI? The Rules. I didn’t want to compare too much produce since prices will vary greatly from region to region AND season to season, so I kept the produce to a minimum, comparing only things that I personally would typically buy year round anyway. The prices below are taken as of 9/15/2017, are from the Atlanta, Georgia area and should be used as a guideline only. You may or may not find the exact prices in your area, so do your homework before you commit to one store or another. 5. USE STORE BRAND WHENEVER POSSIBLE. By design, ALDI doesn’t carry name brands at all. That meant comparing “apples to apples” tough, since Walmart doesn’t carry ALDI’s house brand, and visa versa. My workaround was using the store-brand for each store, respectively. Walmart’s store-brand is Great Value. ALDI has a few different brands, depending on what you’re buying (as you’ll see in the pictures). But I assure you, although they’re different names, they’re all technically “ALDI brand” items. ALDI is expanding their selection of organic (see pro above! ), but that doesn’t mean Walmart is keeping pace. On the other hand, Walmart has some organic items that ALDI does not. With that said, I made notes of whether something was organic or conventional and I only included the item in my list if BOTH stores had it available. If one store had organic tuna, for example, and the other didn’t, I didn’t even include it on my list at all. What surprised me the most when comparing Walmart vs. ALDI? I think what surprised me the most when comparing Walmart vs. ALDI was that the difference in price between the two stores wasn’t that much. What this means though, is that if you don’t have an ALDI in your area, you can still get a great deal on food by shopping at Walmart. In fact, I bet this One Week $50 ALDI Meal Plan would come in pretty close to that at Walmart too! What it also means, is that if you’re torn between shopping at ALDI and shopping at Walmart, your savings at ALDI might not be worth the hassle of a second trip… something to consider! Which did you think was cheaper, Walmart or ALDI? Are you surprised by these findings? Share your thoughts in the comments below! Definitely by me (suburb of Chicago), Aldi by far wins. Walmart is just too much by us. Cheese is outrageous. Closer to $3 for an 8 oz brick. But, like you said, regions will have different prices! Same for me, my Walmart is expensive. Aldi runs much cheaper on items she listed too. I know here where I leave dairy procducts are crazy high at Walmart, a gallon of milk is over $3. And cheese just for a lb is over $4. Kelley – prices will vary from region to region. If the prices are different where you are, that’s likely the cause. Buying the cheapest can be good but I have some reservations about it. Where was the meat and milk sourced? Does it contain antibiotics or hormones? The majority of the milk and meat in grocery stores do contain them. Where did the produce come from? Can you visit the farms where the animals and produce were raised? Where I buy milk and most meats and vegetables sources only from local dairies and farms – most are within a two-hour drive. Pasture-raised, no hormones or antibiotics ever. The same goes for chicken. I spend $3.99 for a gallon of milk. Here at Wal-Mart all milk, store brand or name brand, is higher in price. I have tried WM’s meats but there was no flavor. We eat mostly ground beef or ground pork instead of things like roasts, steaks or chops. The beef and pork I buy runs $3.99 to $4.99 a pound. If we want sausage, we use the ground pork and season it ourselves with herbs that we grow. No MSG or other chemicals added. I have found that something may cost a little more upfront but, in the long run, can actually be cheaper. If a cut of meat is cheaper at the register but, on the table, it doesn’t taste good and the family won’t eat it, then it’s not a bargain and it turns into expensive compost. I’m also concerned about all the unnecessary additives in most foods, like aluminum in flour and baking powder. There’s only one or two brands that don’t have aluminum in them and they’re not the cheapest. It seems that the cheaper the brand, the more junk there is in it. I guess that I just like to know where my food is coming from and what’s in it. I have not seen milk at the price you quoted for WM for more than 10 years. You’re lucky if milk is still that cheap where you live. I worked as cashier and chief slave for WM for 15 years in two different stores in two different states, retiring from them 2 years ago. Almost every week, I saw prices climb all over the store, especially in grocery. Just yesterday, I was at a WM Neighborhood Market and could not believe the increases in prices as well as the empty shelves, mostly due to the hurricanes. These increases were not the few cents they usually are, they were in dollars. Our milk is just under $2 a gallon at the moment! At Walmart! Oh well, I’m not leaving my beloved mountains for cheaper milk! Our milk at Walmart in Michigan’s Upper Peninsula is $1.58 a gallon but I’ve gotten it for less at Aldi’s in Marinette, WI sometimes. An Aldi’s will open here in a couple of months and I’m excited as I’ve found a bunch of cheap deals over in Marinette. Only thing I don’t like is everyone seems to be in a mad rush there, even the checkout clerks! My main store to shop at now is Walmart, and mostly the Great Value brands. The little bit I get back from their price matching Savings Catcher program shows me I’m doing well. We recently got a Meijers too–their sale item prices are good & the $5 off $20 deals, but overall I still like Walmart better. Our local grocery stores survived the Walmart Super Center, but Meijers drove one big one out and I’m afraid for the other big store when Aldi’s opens. But, that’s just competition I guess. I shop where I save the most. If you haven’t ever taken a grocery shopping course/workshop, you should take Tiffany’s. I saved a bunch of money after taking one (Tiffany’s wasn’t created yet back then, but I’ve been a long time subscriber and buyer of Tiffany’s and it will be great) and also did her Grocery Savings Made Simple mini program. 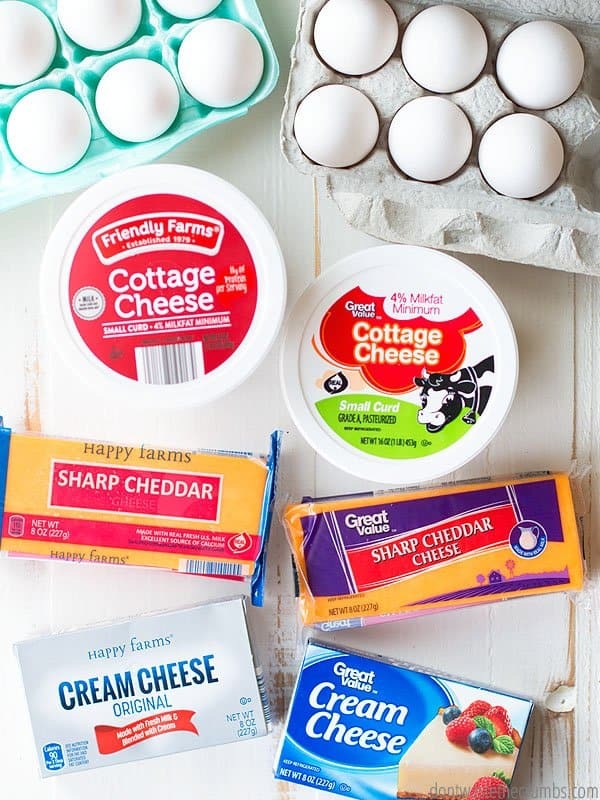 I’ve been grocery shopping for my household for 49 years, so was very surprised to save a bunch of money–and it wasn’t all about clipping a hundred coupons either–but habits and things you never think about normally! No milk or meat in the US has antibiotics in it. I work in milk quality, and every single load of milk gets tested at least twice for antibiotics, and dumped if there’s any positive. All milk has hormones in it- conventional, organic, cow, goat, human, etc. Many processors are choosing not to take milk from cows given rBST, and it will say clearly on the label. We do quarterly checks to make sure it’s still not being used. That’s good info! I’m glad to know it is so closely regulated. Also, all dairy products have a plant code on them, you can trace it back to the company. 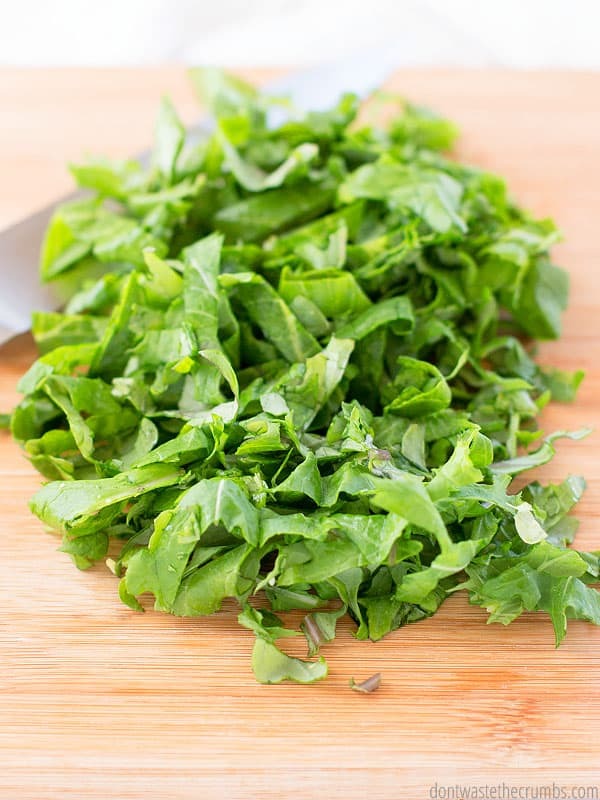 Sure, you can trace to the plant it came out of, but do you know the actual farm it came from? Can you go to that farm and physically view the cows? I can and I don’t work for any milk or meat industry. That’s what buying local is all about. Knowing where things actually come from, not just what factory they came out of. All dairy products are loaded with hormones, even if none are added to it. It’s just the nature of what it is. It’s animal growth food, designed to grow cows into the large creatures they are. So even if no one has added hormones to your cows, if you consume dairy in any form you are getting doses of hormones. Keep in mind also that most cows that are being milked on conventional farms are already impregnated with their next calf. How’s that for a double hormone cocktail. It’s something to think about if you want to avoid the influence of hormones in your diet. 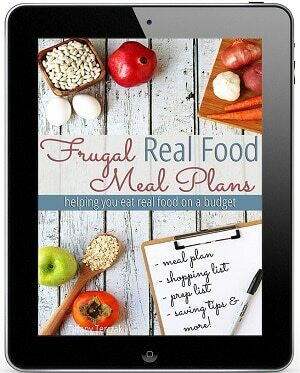 All the best in yoir health and real food on a budget journey! It’s not easy. I myself have a lot of work to do in this area. Two things make me prefer Aldi. First, I often do not want the huge quantity that is often necessary to save at Walmart. Second, is quality. I am of the opinion that Aldi products are better (by far) than Walmart brand equivalents. 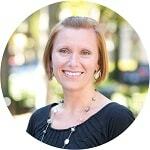 Hi Heidi!! Actually, everything I checked prices for were available in a similar size at Walmart than what ALDI carries. So, while I mention a larger size below (because that was the better deal, in-store), you don’t HAVE to get that size. You can easily get the smaller versions. As for quality, I think it depends on what you’re buying. We should always read the ingredients, but also remember that just because it come from a certain store, doesn’t make it better or worse! I agree with Heidi. On the sizes of things that I actually want to purchase/have room to store/will use before they go bad, the deals just aren’t as good. While Walmart may have something at a price better than Aldi, if I have to buy a giant container that I can’t use to get the good deal, then it stops being a good deal. More importantly, a lot of things at Walmart simply are not better quality (or even equal quality) as Aldi. That’s not true for every item that Walmart carries, for sure. But in my experience, Walmart is able to offer a lot of things at good prices while still turning their massive profits by offering lower quality products. This is true for most of their fruits and a good number of their vegetables, but also many of their other products. 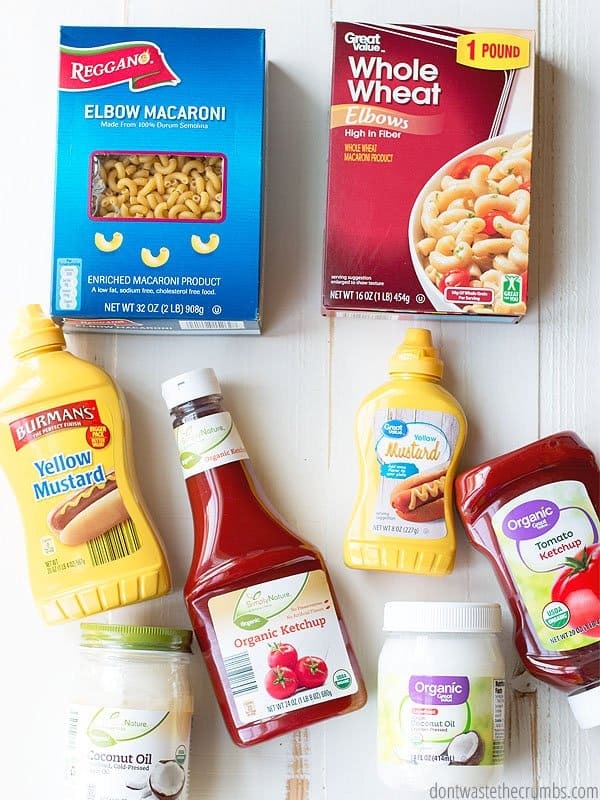 Many of the packaged or processed foods at Walmart that are “good deals” have more additives and fillers than a similarly priced item elsewhere. Believe me, I’ve tried to simplify my shopping by being able to buy everything (grocery, other household items, etc) at Walmart, but in the end, many of their products just aren’t good enough quality for me. Anyone who is able to comfortably buy and enjoyably eat all of their food from Walmart is lucky, in a way, because its certainly a more efficient way to shop. My Husband is always telling me I should shop at Aldi because it will save us soooo much on groceries. I try to tell him all the time that it’s not that much less than Walmart or our local store with the items on sale and a coupon. I personally like having choices, a wide variety in selections. Plus I also like the convenience of a “one stop shop” with WM… that way I can get other household items or even automotive items etc. in one stop. We do go to farmers markets in season and I am more picky about buying grass fed meats and organic produce. Thank you for the article. Very helpful. You can also use the savings catcher app for WalMart! I find that by using that it’s really not worth an extra trip to aldi for the few cents I might save. Savings Catcher often saves me far more! I did shop Aldi for a friend yesterday, and enjoyed having everything so close that it didn’t take as long (plus the limited selection saves time). Hello from Canada! I love reading the comparisons! However some of them did make me cry, because I know how much I pay here for things. Example? I pay almost $4 for a dozen here, and that’s not anything organic or free run. Those eggs are even more! I pay around $4.50 for a jug of milk, which is 4L. That’s just a small bit more than an American gallon. Those are just the ones I know the price of off by heart. And I’m not bashing or complaining because there’s nothing I can do to change this. I like seeing the information from your side of the border, and thought mine would be interesting to add. As you said is just depends where you live I live in houston and by far Aldi is way cheaper then walmart buying the same stuff I spend 20 dollars more on walmart so for me Aldi its way too cheap. They are often out of stock, for months at times and they are so large that many associates don’t know where to send you. Flip side to Aldi… I’m a minimalist at heart so Aldi actually does my SOUL good! I love that its a smaller store and I love their organic selection. I find they have a nice selection of ingredients since I make a lot of my food from scratch. but they have lots of other things to choose from. You can’t beat the price of their eggs and their milk has no hormones in it. I’m not a fan of Walmart, so I don’t know the prices there, but I can tell you that Aldi is almost always cheaper than the most ubiquitous grocery store (Price Chopper) in my area (Saratoga Springs, NY). However, I’m stock up during sales and use coupons, so I get soem pretty great deals at Price Chopper, too. Since the selection is so limited at Aldi – and it’s farther from my house than the other local stores – I tend to go there once a month or so to stock up items that I know are cheaper there, and do the majority of my shopping elsewhere. eggs were $,26 cents a dozen and milk was $.96 cents a gallon (I realize this is not normal for most stores but this particular one is always like this). I buy my meat from a local grocer who hand cuts everything before it is put in the case and that’s the way I like my meat. I do buy most of my pantry staples & fresh fruit & veg from Aldi. I do shop at Kroger because our store has really good deals and matched with coupons and app savings I am able to get alot of things for pennies or nothing. Thanks for this comparison though I will definitely stick to Aldi as I despise Wal-Mart. I always end up impulse buying at walmart… there are just so many things there and although they are so cheap, but not really needed. Aldi always end up being cheaper. I’ve been to Aldi a couple of times. The first time several of my must have items were on special and I was shocked by my savings. The second time, those must haves weren’t on sale, and my bill was actually more expensive than what I’d pay at Walmart. Add in the tiny aisles, my four small children seemingly taking over all available space, and having to bag my own groceries, and I definitely prefer WM’s online ordering and easy pick up. I’d love to have Aldo’s lower prices on some things, but it’s not worth the hassle of keeping up with sales, making multiple trips, or bagging my stuff and feeling claustrophobic in the tiny store. Just fyi, Aldi does carry some name brand cereals, etc. We buy Kerrygold butter, a name brand, there. Yes, they do have some name brands (mine has Kerrygold as well! ), but as a general rule of thumb, 90% of their items are in-house. Thanks for doing this comparison. I used to be a faithful Aldi shopper but moved to an area in Georgia that has no Aldi nearby. I miss it sometimes, but the prices at Walmart here are quite low. Of course I can’t compare what the prices at an Aldi compared to Walmart would be in our location, but I expect it would be in the ballpark of what you’ve listed here. I love this! My only add would be to compare ingredients when you compare prices. Sometimes the better price comes with less than stellar ingredients. Even products that look healthy can sometimes be only so-so. Look for things like artificial sweeteners, extra fillers or preservatives, unnecessary sugar or salt, or added saturated and trans fats. If you have health issues you should be watching your ingredients. Honestly, we all should be. But perhaps that is covered somewhere else. I’m still pretty new here. I have totally found that too. I will pay a little more for something that has no preservative because I’m sprig but it is getting harder and harder at both stores. Good luck finding shredded cheese without a flour or antibiotic added in!! I believe you should update the comparison for spring mix organic. I have a local Wal-Mart but Aldi’s is a bit of a drive. The pennies difference on most items is not worth the gas. Plus I have a chronic illness where I must be careful with my energy as well as money. Aldi’s is just not worth the gas and extra energy for a few cents. Even the meat prices in my area had less of a difference between the two stores than the ones mentioned in the article. But I have friends who sear Aldi’s is the only things that makes their food budgets work. It’s all in what you buy I guess. Such a shame. I was excited by your site, but it sure seems you did your best to come to the conclusion that Wal-mart was your preference despite so many items being better priced at Aldi, and most of those Wal-mart won were based upon bulk buying which more often than not leads to waste. Also, Aldi has decided to only stock products without harmful substances such as artificial food dyes, GMOs, etc. which makes them a winner again particularly if you have kids. Worst of all, once scrolling to the bottom of the page, I found an ad for Wal-Mart in my sidebar. Seems the jig is up. Thanks for what I learned to this point, but I sadly will look elsewhere for a page with objective information I can trust. I’m sorry you feel this way Matthew, but I can assure you that my conclusion was not biased. If your family wastes by buying in bulk, then don’t do it. I’m glad ALDI is pickier about what they stock on their shelves, but it doesn’t mean you can’t find good things else where too. The answer is, there’s no right or wrong across the board. Everyone has to do what’s best for themselves, and if that means you shop at ALDI and I shop at Walmart, then so be it. There’s no harm in either case. 1. Most Wal-marts have a competition clause. Their milk/eggs have to be priced very similar to their nearest competitor grocery store. For us that means our supercenter sells milk at Aldi price, while our neighborhood market right next to Publix carries milk for $4, while the two Wal-marts are not even 10 minutes apart. 2. Living wages. Employees at Aldi get generous wages (Starting at $11/hour! ), benefits, holidays etc. Wal-mart employees get none of those things. I like to support a company that values their employees. Aldi is much more stringent about the quality of their employee.. they have to be efficient. I think it does make for a better shopping experience. We go to wal-mart for our odds and ends once a month or so. Laundry detergent, baby wipes etc. and things Aldi just doesn’t carry. Aldi every two weeks for our regular groceries. We absolutely love Aldi’s 12 grain bread, and it’s a bargain. I like the straightforward experience. Less choices means a faster grocery trip. Wow! I was surprised that there was literally a 1 cent difference in some of the prices! That does make me feel better since Aldi is farther from me than Walmart. Because of the distance, I haven’t done much shopping there yet. I have found that Walmart has good prices on a couple of things that are staples in our house. They have jasmine rice in 20 lb. bags for only about $14. They also have good prices on the Walmart brand canned salmon. Yep! I was surprised at some of the differences too! I decided that one week I will do my grocery shopping at Walmart and the next Aldi. I bought identically the same items (possibly MORE at Aldi) and I ended up spending $70 LESS at Aldi! I have a big family (5 children, my husband, and I) and $70 savings is huge for me, that could be $280 saved in one month! I live in rural Missouri and I did price comparisons last week. For the items that I buy normally, a trip to Aldi (and I would still have to shop elsewhere) would only save me at the most $5 for the trip. I use a lot of Great Value brand products because I like them. Everything was within pennies to 20 cents away from Great Value prices. I prefer a one stop shop so Walmart makes more sense for my family. As far as cereal is concerned, you can hardly beat the taste and price of Malt o Meal bagged cereal. I also live in the Midwest, and I’m not impressed with Aldi’s prices either and feel that I get a greater value for the money at Walmart and Sam’s. Maybe Aldi is better in some areas of the country. In my area Aldi and Wal-mart had a price war on milk for a while. Milk was $0.75 a gallon at both stores! It’s gone up a bit since then at $1.29 but Aldi is still ahead. I love that the price war works in your favor!! 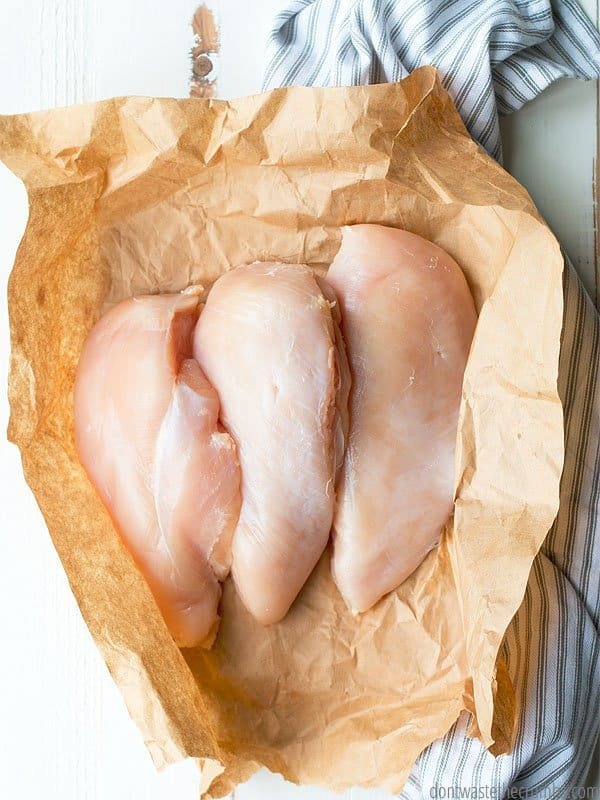 Boneless, skinless chicken breasts are only $1.99 per pound at Walmart and Sam’s Club. Wow! Folks are PASSIONATE about where to shop! Me? Since I live really close to ALDI and WM, here is what I do…I use WM’s Grocery App to place my entire grocery list in my “cart” (as if I were going to get everything at WM). Then, I stop by ALDI and cherry pick those items that are currently (AND regionally) cheaper than what I see in my cart on the WM Grocery App. As I go through, I delete the items from my virtual cart as I place them in my physical one. I check out at ALDI, and whatever is left in my WM cart is what I get there. Prices vary constantly, so this insures that I catch the best deals at both stores. Plus, in my area (Tulsa, OK) WM offers free grocery pickup, so I usually go by ALDI on Saturday AM, and pick up my WM groceries that PM or after church on Sundays! I know this has saved me A LOT, but it has also set my mind at ease, knowing I haven’t wasted my money, energy, or time! This is a fantastic shopping method Jennifer – thank you for sharing it with us!! And I might have to give this a shot myself, LOL. I don’t despise Wal-Mart in general, just the one near my house (I am just north of Houston). I truly believe they give their employment applicants a personality test and if they seem too helpful or polite, they are disqualified. So I generally shop at Kroger and Aldi. One day a few months ago, hubs and I were near a WalMart in the next town over, so we decided we would shop there. Holy moly! I was shocked at the difference in prices. Boneless skinless chicken breast was almost $4 a pound (Aldi is about $1.99). Celery was like $1.50 a bunch vs. the $.89 I pay at Aldi. $1.70 vs. $.69 for eggs. I could keep going. I don’t think there was a single item there that was cheaper – or even comparably priced – than Aldi. Their prices were more like Kroger’s than Aldi’s on the store-brand stuff. Then, you get to the other budget-buster. The eye-candy displays. For stuff you just don’t need, like novelty sunglasses or holiday-themed jewelry made in China. Cheaply priced, but still you don’t need. Walmart COUNTS on those impulse buys to make up for few items they carry that are cheaper than Aldi. Aldi’s food actually tastes better than Great Value. We all have different taste buds, but I appreciate your point of view! We have an Amex blue credit card that gives 6% cash back on groceries. All this time I assumed I was getting 6% cash back for my groceries at WalMart…BUT I WASN’T!! Amex doesn’t consider Walmart a ‘grocery’ store. Amex does however consider ALDI a grocery store. I think I’ll try ALDI now b/c an extra 6% adds up quickly over time. Oh, wow!! What a great find Allison!